Rustic finish. Pressure treated for 10+ years life. 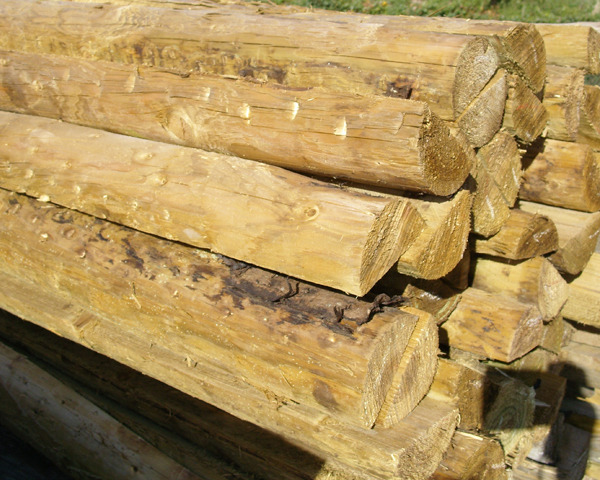 Great for rustic post and rail fence. Ideal for retaining earth for raised borders. Sizes - Diameter 75-100mm (3-4 inches). Length 3.6 metres (12ft).